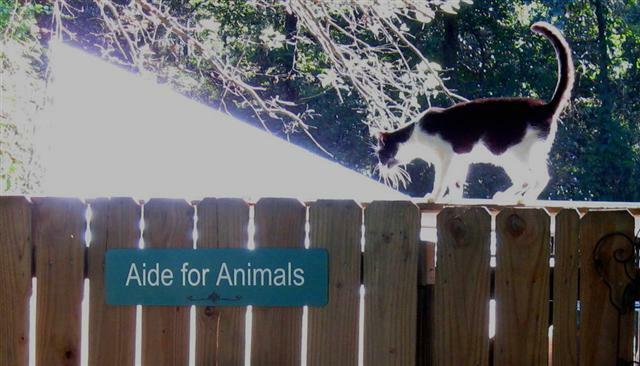 Aide for Animals has no paid employees. All officers are volunteers. Betsy M. Haas, Founder/President: Betsy worked with several rescue organization through the last 40 yrs and is known in the rescue circuit. In December 1995, she helped found and develop the Animal Rescue Foundation (ARF), a non-profit animal welfare organization in Mobile. She retired from that board after nine years of service and in June of 2007, seeing the great need for a place to give disabled or unwanted yet healthy domestic animals who aren’t adopted, a safe haven where they can live out their lives, founded Aide for Animals, a No-Kill, Non-Profit, 501(c)(3) sanctuary. Lee Ann has been of great value to Aide for Animals. She worked as a vet assistant for many years for one of our leading veterinarians and helps with any and all aspects of our daily operations when not at her other job. 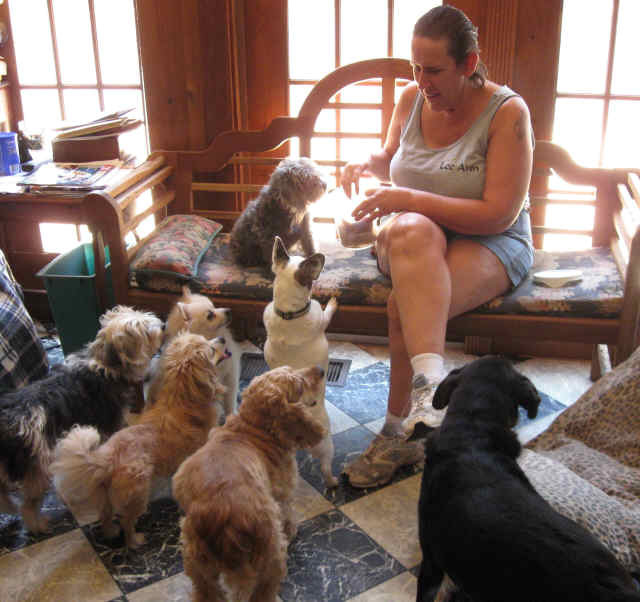 Lee Ann is compassionate and truly dedicated to helping animals. Her contribution is invaluable. Carl, a chef by trade, grew up in the Haas household and learned to love animals from the time he was a baby. 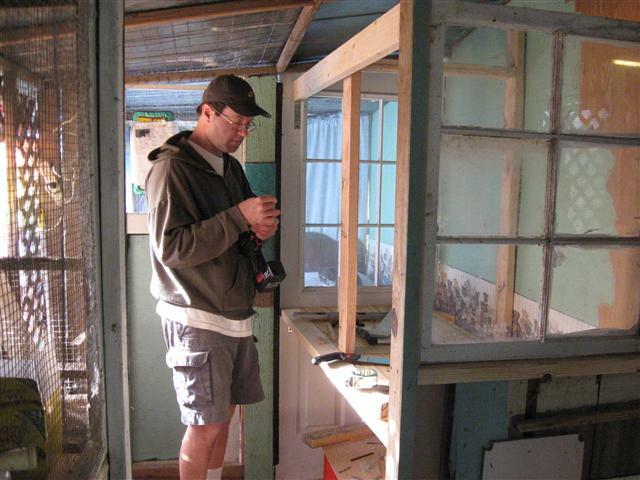 He is very talented and is hands-on for any help that is needed; new construction, repairs, rescue pickup and delivery, yard upkeep, crafting items for fundraisers and even computer/office work. Carl’s enormous energy and big heart is infectious; we couldn’t do without him. George, a big animal lover, has been a wonderful friend and huge asset through the years. 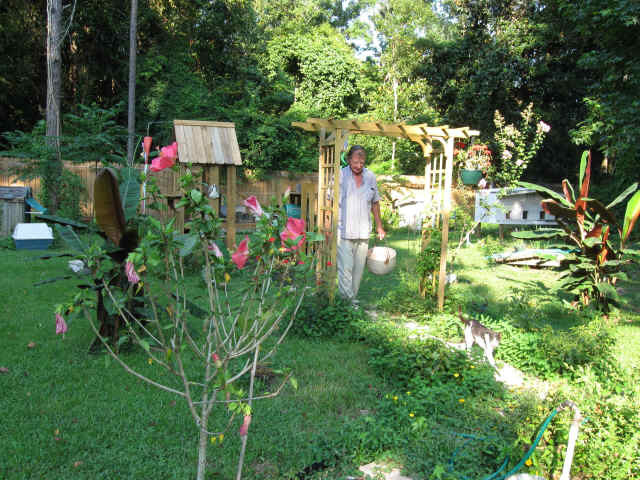 In 1990, George drove all the way from his home in New Orleans every weekend just to build our first cattery & shelter. Since then he moved to Bay St. Louis, MS and still comes every weekend to help with repairs, expansion, feeding or in any way he is needed. We are proud he chose us to be a part of his family. He is truly a necessary and appreciated member of our board. Rachel, an RN, wife & mother, is a loyal and dedicated volunteer at Aide for Animals. Her love for the animals is evident in the kind and gentle approach she has while caring for our rescues. Since joining our team, Rachel has made a tremendous impact not only on the quality of care we are able to give each animal, but on the betterment of our shelter. We all love Rachel and are so grateful to have her on board! 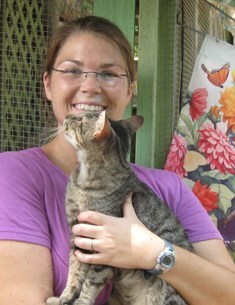 Rheannon, is a volunteer for Aide for Animals; her energy and love of our rescues is unmatched! This tiny little girl is truly amazing in all she does and she will do anything to help! We are so lucky & grateful she has agreed to become part of our family. We love you Rhe!